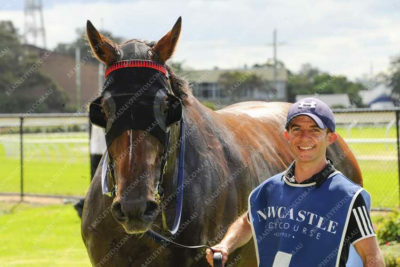 It was great to get another win with one of our favourite ‘sons’ and one of our earliest arrivals in the stable. 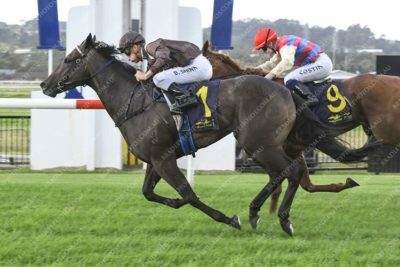 The former Kiwi galloper, Lanciato (Per Incanto/Surreptitious) 5 year old gelding won in sensational style at Randwick Saturday 6th January 2018. 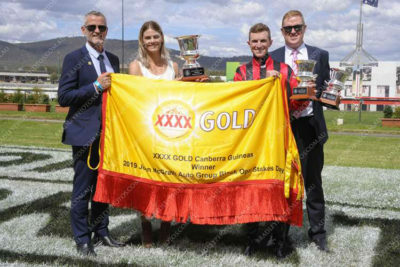 He saluted in the Tab.com.au Handicap over 1400m. He was ridden to perfection by 1.5kg claiming apprentice jockey Rachel King. Drawing barrier 9 from nine runners, he jumped and settled in last position, no less than 10 lengths from the leaders. 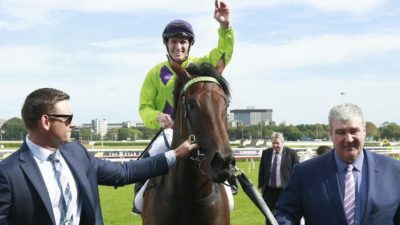 Remaining in last position, his patient rider eased him to the outside at the top of the straight and unleashed Lanciato’s burst of speed, accelerating to run away in exciting fashion and win by 1 and half lengths. It was so exciting to watch. Thank you to his owners Derek Tam and Peter Coffey for entrusting us with such an authentic and honest horse. Lanciato always gives his all. 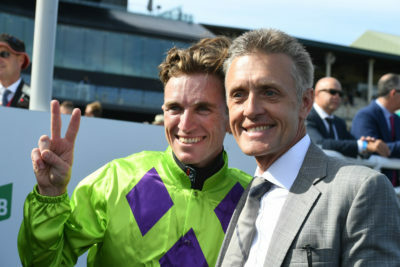 He seems to be in the best shape he has ever been and we look forward to many wins to come this time in.